http://www.ilivetoday.com R. Rex Parris Talks Poppy Festival / Family / Technology At the City of Lancaster press conference The Mayor talks with ilivetodayav about the upcoming event. Date: April 16th & 17th, 2011. Rain or shine! Tickets are available onsite during the event, and may be purchased with cash only. Groups of 20 or more may purchase non-refundable tickets in advance by calling (661) 723-6075. Parking is free. Free trams circulate between the entrance/exit and the parking lots. Pre-sale Poppy Festival tickets will be available for a limited time in April (exact date TBA)! These special offer tickets cannot be mailed or held at “will call”. If four or more are purchased at one time, tickets will be discounted $1 each and cost $7 for adults and $4 for children and seniors. Pre-sale tickets are non-refundable and non-replaceable. This limited time offer is available at the City of Lancaster Parks, Recreation & Arts Counter for purchase in person only. City Hall, 44933 Fern Ave, Lancaster, CA 93534. Hours of Operation: Mon-Thu, 8am-6pm and Fri, 8am-5pm. For more information please call (661) 723-6077. 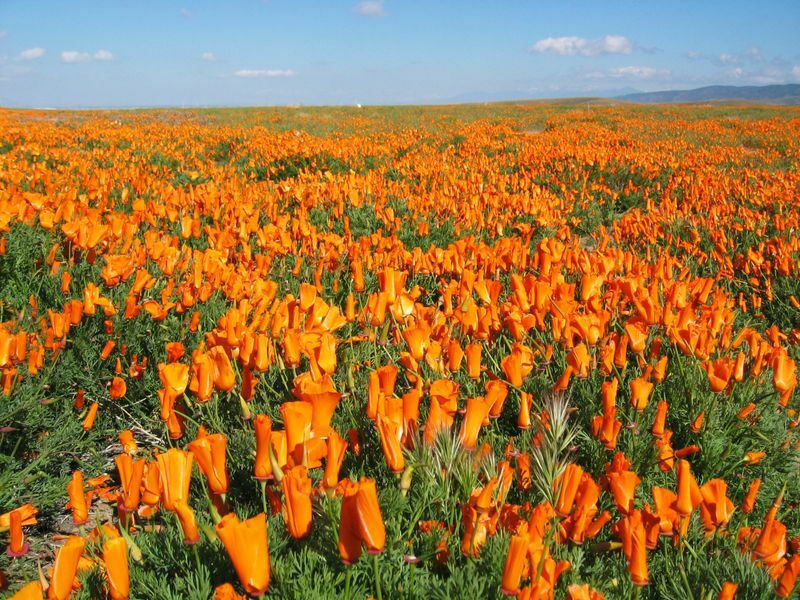 Lancaster boasts one of California’s most abundant crops of the vibrant poppies that are California’s state flower. For several years, the City of Lancaster co-sponsored the Wildflower Information Center with the Lancaster Woman’s Club to cater the interests of thousands of visitors who flocked to the Antelope Valley for a glimpse of these brilliant, beautiful flowers. Held at the Lancaster Museum/Art Gallery, visitors could pick up free wildflower maps and learn about the best viewing locations before heading out to the Antelope Valley California Poppy Reserve. The California Poppy Festival also began as part of the Earth Day celebration. Since the Golden California Poppy blooms each year around the time of Earth Day, it seemed appropriate for Lancaster to combine the two events into the California Poppy Festival. The first Earth Day was held in the spring of 1970 with an estimated 20 million people participating worldwide. Through the years, the annual Earth Day celebration has grown in popularity; in 1990 an estimated 200 million people in 141 countries participated in different celebrations. The California Poppy Festival carries on the Earth Day tradition of concern and caring for the environment. With hundreds of exhibits and not-to-be-missed performances, you’ll want to make the most of your time at the Poppy Festival. We’ve compiled the expertise of seasoned festival-goers to let you know the tips for getting the most from your visit. So that the festival is safe and fun for everyone it is a must that you leave pets, alcoholic beverages, skateboards, bicycles, scooters, radios, roller-blades, frisbees, tables and coolers at home. For your safety, bags are subject to inspection by the Los Angeles County Sheriff’s Department. Unauthorized sales, solicitations and distributions are prohibited. Springtime weather in the Antelope Valley is very unpredicable – please dress accordingly and bring plenty of sunscreen.